Private Company Valuation: A Comprehensive Guide. One of the questions you could meet in job interviews is “How is a valuation of a private company done”? This question relates to how much you know about mergers and acquisitions and its valuation. Though there’s a lot of things that should be taken into account when valuing a private entity, we’re going to be presenting here the important things you should know if you want to brief yourself or improve your knowledge on valuing a private company. After all, a career in M&A is one of the lucrative areas in finance. In fact, according to Financial Times, the value of M&A deals in 2016 is the second best year all time, and the growth in M&A deals is likely to continue in 2017. You should know first that there are two types of target companies, Add-ons, and Platforms. Want to start a career in Finance? Platform acquisition companies are those companies that have established reputation and distribution markets. Buyer companies would buy them as a strategic way of increasing their current market scope. Add-on acquisition companies are underperforming companies due to continuous losses, management inability, lack of infrastructure or for any other reasons. They are being bought by buyer companies in anticipation that the buyer company could greatly increase the profitability of the add-on target company. The acquirer usually has wide market reach, big infrastructure, and expert management. Aside from the anticipation of the increase in market value, add-ons are also bought to provide complementing technology or services to the acquirer company. 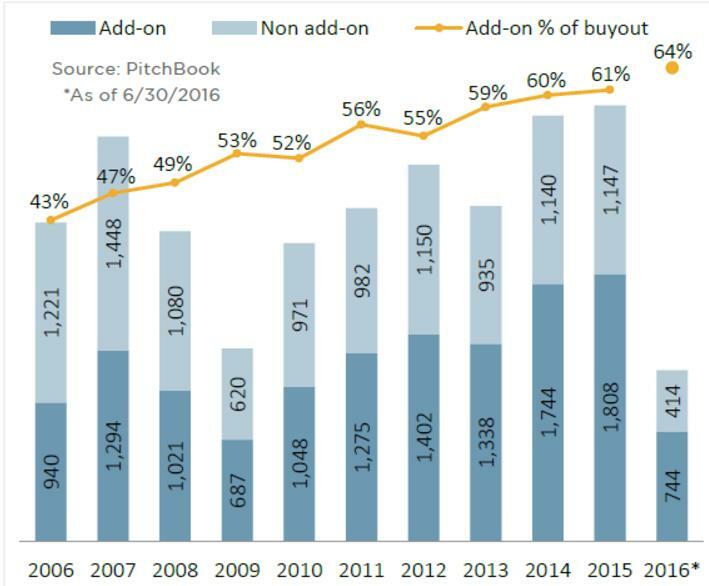 According to pitchbook.com, add-on activities occupies more than 50% of all buyout activities since 2009. However, the volume is still way behind than transactions involving platform acquisitions. Valuation of both types of targets doesn’t require different valuation techniques. The difference is how an analyst would estimate the future cash flows of the company being valued. Add-ons would be having more volatility in cash flows than platform companies. Add-ons would require more in-depth, more accurate and more conservative approach in valuation because of the cash flow uncertainties. Aside from that, the acquirer would outlay more cash than it would be had the target company been a platform company. Another challenge posed in acquiring add-on companies is that most likely, distressed companies would require higher valuations because they need to pay a lot of debts. Right negotiation comes into play into these kinds of scenarios. But, in conclusion, there’s really no good argument as to which one is better to buy- an add-on or a platform company. It all boils down to the matching of the seller company to the acquirer, the right opportunity, and the synergy that will be realized once the acquisition is made. When valuing a company, banks use more than one method. No single valuation method can accurately value a private company. We’ll be discussing three commonly used methods: Trading comparables, Transaction Comparables, and Discounted Cash Flows. 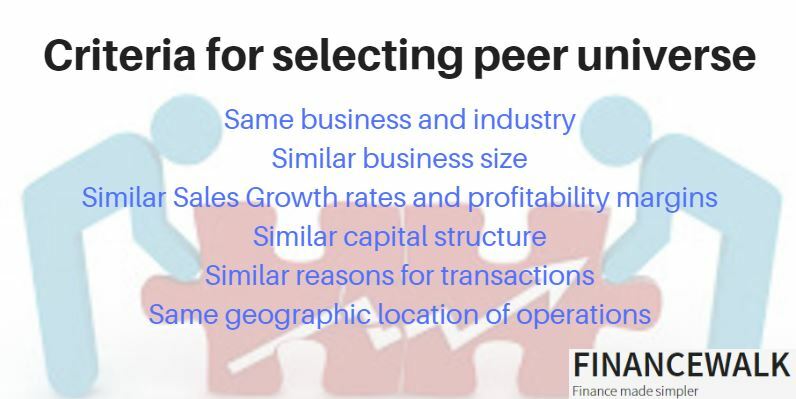 Trading Comparables is a valuation method that uses the recent valuation of similar companies in the peer universe of the target company. Second, take out the financial statement data of the peer universe: financial position (balance sheet items), income statement, shares data. You’ll need these data for the computations of multiples. Lastly, estimate the value of the target company based on the HIGH, LOW and AVERAGE multiples of the peer universe. Transaction Comparables is similar to Trading Comparables. They are similar because they use similar companies as a comparison of valuation. But, the difference is that instead of the companies per se, transaction comparables use previous M&A transactions targeting similar companies as the basis for valuation. The rationale behind this is that similar companies would, of course, fetch the same valuation, more or less, with adjustments. The process is pretty similar with trading comparables. 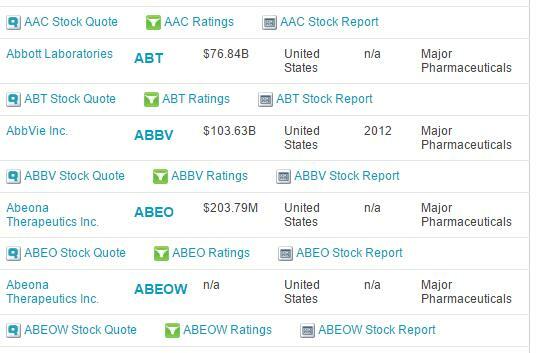 First, select a universe of M&A transactions whose target involves similar companies as the company being valued. This will be the peer universe of the target company. Second, get their financial data, balance sheet and income statement items, including shares data. Third, select the multiples to be used. The multiples used for trading comps are also the ones used for transaction comparables. If you want a more detailed discussion, I suggest you go see my guide to creating an excel model for precedent transactions. 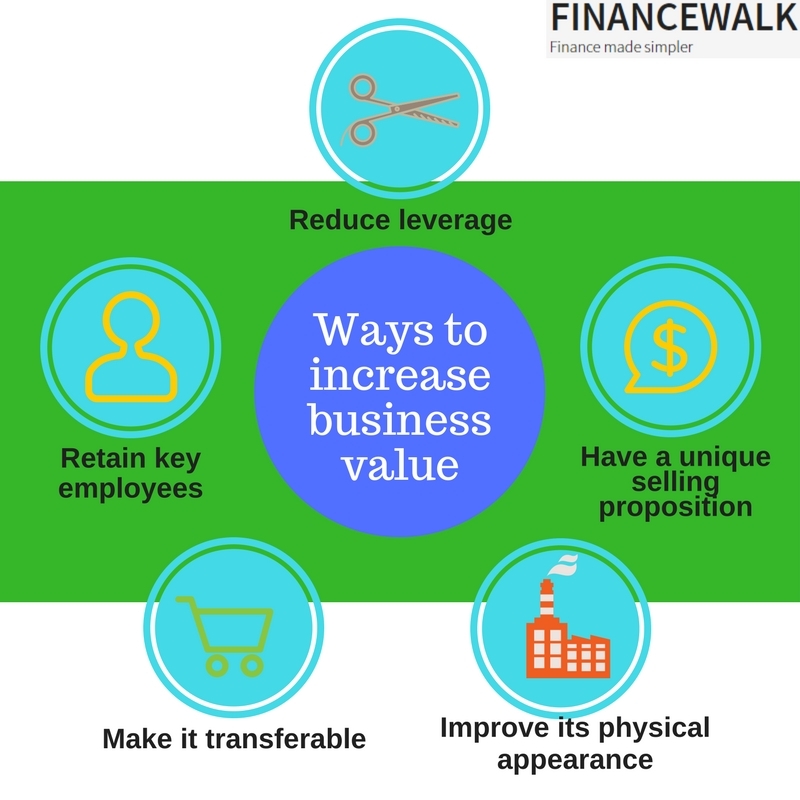 Discounted cash flow is a valuation method which focuses on the company itself, rather than doing a benchmark with other companies. I will be presenting here the general steps for a DCF valuation. If you want a more detailed discussion, I suggest you go see my guide to creating an excel model for discounted cash flows. First, you’ll need to compute the cost of capital which is equal to the weighted average cost of capital. Second, you’ll need to calculate Stage 1. Stage 1 Value is the discounted free cash flows of the period being valued. These free cash flows could either be levered or unlevered. Unlevered means that interest expenses are not used in the computations. Levered free cash flows are cash flows where interest expenses are deducted. Analysts usually use unlevered free cash flows under Stage 1. Third, you’ll need to calculate Stage 2. Stage 2 is equivalent to the Terminal Value at the end of the projected period. Fourth, compute the Enterprise Value, Net Debt, Equity Value and Diluted EPS. Fifth, compute the Share value per share by dividing the Equity value by Diluted EPS. Compare the Equity value per diluted EPS to the current market value. If the EV/EPS is lower than the market value, the company is most likely undervalued. Otherwise, the company’s shares are overvalued. Undervalued companies are more likely to be a subject of acquisitions than the companies with overvalued shares. Negotiating is more than just mathematics. Actually, it’s more of being mathematics and art. The negotiation includes non-financial factors. Dealing with private company poses different challenges than when facing public companies. In deals involving private companies, the focus of negotiations is usually more on a personal level. Since the transaction is having less public scrutiny and coverage, the communication is done more on an officer to officer, personal to personal, rather than using government agencies or media. One major issue in dealing with the private company is that if it is family-held, it would disrupt generations of family succession. Because of this, the seller might request for higher bids than the valuation that came up from normal valuation financial terms. Another worry for the seller of a family-held business is the financial stability, financial future of his or her family. He or she is usually the head of the family, so, he or she needs to take into account the financial future of everyone else in the family. He or she would be conservative in order to avoid mistakes because one mistake might plunge the future of the family into chaos. A Private company is usually the brainchild of the current owner. Since it is smaller than public companies, and that the owner manages it closely and personally, there would some resentment of letting it go. There’s a factor of sentimental value. This would make the seller hesitate. This is one of the non-financial factors that could raise the valuation or selling price of the company. Since the company is close to the owner, he would like to see it grow it the long-term future. As such, he would like to see a successor that can do so. Ideally, the successor would come from his family. But, sometimes external people like external employees, or acquirer private equities would be the successor. There are cases that the owner would take lower valuation just so that he could ensure that the right successor would be the one who is capable of growing the company into the long-term future. In valuing private equities, you would need two types of valuations: pre-money and post-money valuations. Pre and Post Money Valuations can be used as data for during the negotiation process. 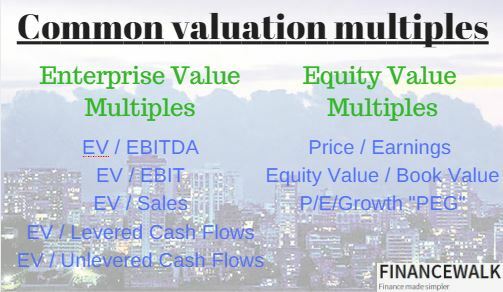 Pre-money valuation is the financial value of the company before the acquisition. On the other hand, post-money valuation is the financial value of the company after the acquisition. Let’s suppose that a business is initially worth $5M. After a successful launch, a potential investor is willing to invest $10M for 50% stake. Given the facts, the post-money valuation of the company is $20M ($10M / 50%), while the pre-money valuation is $10M ($20M x 50%). This means that the new investment would result to a premium of $5M (100% of original investment) to the old shareholders of the company. A private company can greatly improve its balance sheet’s appearance by reducing liabilities. Liabilities are not seen as good by acquirers because it would reduce the acquirer’s freedom in terms of choosing the right amount of leveraging of the business. Reduce the company’s debts, and let the potential acquirer decide on how much leverage the target company needs. Swap long-term debts with short-term debts. Key employees are like the hearts of the business. The transition will run more smoothly if the people who know the business in and out will be part of the deal. Succession will be a lot easier for the acquirer. As part of the deal, provide a clause for stock-based compensation for the new entity, with a vesting period of 3 years or more. Ask the acquirer to provide an irresistible compensation package to the key employees. The private company should avoid commoditization of its products. Commoditization happens when the company’s products are easily copied by competitors to the point that the company’s product no more has the advantage over any other similar products. It creates too much competition that decreases profit margins even if the revenues increase. The products should have USPs or unique selling proposition that cannot be easily copied. Create unique designs and inventions and have those registered as intellectual properties. A good ambiance would help increase the financial value of the company. If a company has a crappy office, the first impression of the acquirer would be that the company has crappy operations, and in turn crappy valuations. A good and clean office and plant often indicate a good working culture within the company. Hire an interior designer. Go for a more modern look. Improve the operational design of your manufacturing operations. Always keep the buildings clean and with proper lighting and ventilation. How do you know if your company is transferable? Ask yourself, “What will the cash flows of the company without me?” If it’s the same, then it is transferable. Otherwise, it’s not transferable. With the latter scenario, you will find it harder to get a good valuation. Reevaluate your business operations. Make a what if scenario wherein your business is running without you. Will it still be running the same or better even if you’re out of the picture? There should be next-level managers. Next level managers are those that had already a lot of experience with your company but are still young enough to stay with the company for about 10 years or so but under new management. Evaluate if you already have these next-level managers. If none inside, then consider hiring outsiders that have lots of experience in the industry your company is in. After reading this blog, have you become interested in Finance? In M&A? If so, you can read these guides on how to start a career in Finance. Do you have questions relating to private company valuations? Let us know be leaving your comments below!